H1Z1: The ‘DayZ’ of the PS4? 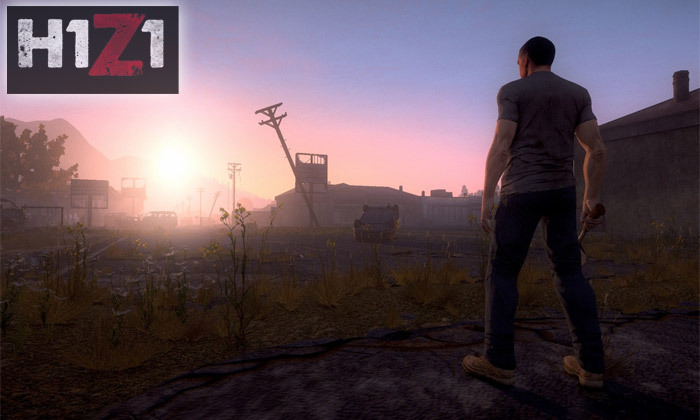 » H1Z1: The ‘DayZ’ of the PS4? You are walking around a brick building with dawn on the horizon. All you can see around you is fog as you traverse the cemetery behind it. Large columns, steel fences, and trees litter the vicinity of the land. You are trying to sneak around the area in an effort to find food and supplies, all the while trying to avoid what may be in the darkness. You hear footsteps, the gnashing of teeth, and right when you think you’re in the clear? You see something running at you – another damn zombie. "It is a survival in a Zombie Apocalypse game. So is Day Z. [Bohemia Interactive] have made a brilliant game (first I might add). They have a great vision for it and can count myself and most of the people on our team as fans and contributors,” said Smedley in a post on Reddit. "We’re making the game we’re making. Long term we plan on making this about a persistent world with a big landscape with thousands of players. The way we would like to see this roll out is much more like players building small enclaves or pockets of territory and hold out against a legitimate zombie threat that’s ever present while others go it alone taking their chances. These player-built structures, forts and towns are one of the ways the players try to carve out some small space in a dangerous world." Smedley also stated that he wants to ensure that the game has a deep in-game economy that is dependent on players crafting items. He states that players will be able to craft and sell bullets and other types of ammunition, which likely means they will also have the luxury of selling other crafted items such as clothing, armor, weaponry, and so on. How deep the level of crafting will go is still up in the air, but as optimistic as Smedley is about the crafting system of H1Z1, it looks as if it is on the right track. 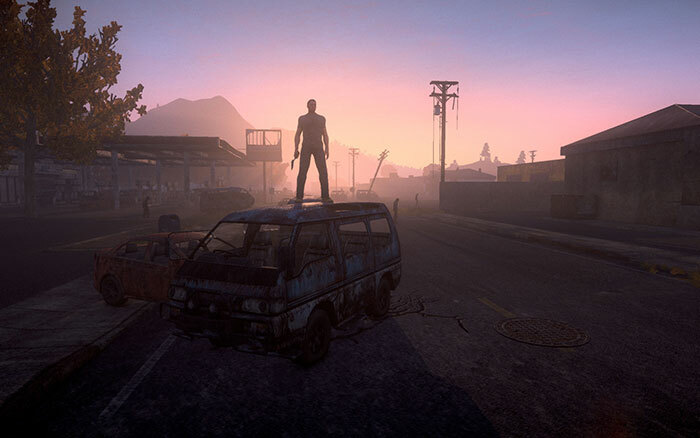 H1Z1 will have first and third-person points of view, with vehicles being driven in third-person only. So if you wanted to drive into a group of zombies in a POV view, sorry guys, but it’s not going to happen. Even so, it’s great to hear that vehicles will be present in the game – a feature sadly lacking in another popular survival game, Rust. The team is certainly excited about the role food will play in H1Z1. According to Smedley, the team initially wants players to have to catch their own food, but later on? The team is aiming to allow players to grow their own crops and protect them from other players and potentially other zombies (do zombies eat crops?). The end game of H1Z1 sounds as if it will allow players to build their own farms and ultimately live off the land. Ever wanted to be a farmer in the zombie apocalypse? Your chance is coming up shortly. H1ZI will also be monetized. Smedley insisted that the monetization will be fair, so breathe easy. Players will be able to purchase clothing and other wearables using real-world money, yet players will still have the opportunity to find these wearables, craft them, etc. They emphasized they will not be selling guns, ammo, food, water – the essentials in a survival MMO, so again, breathe easy. Moreover, they also want to allow people to buy crates they find in-game, yet they are considering allowing players to see what is inside the crate before buying (the way DOTA 2 does this). Two viewpoints: first and third-person. Vehicles will be present. No, you cannot drive in first-person view. Food: initially, you will have to catch your own food. As you progress, you can farm and ultimately live off the land. A persistent world with a huge landscape littered with thousands of players. Players will be able to build towns and communities to defend themselves against the zombie threat. In-game economy dependent on player’s crafting items (i.e. the economy will be entirely player-drive).. Players will be able to sell loot they craft. SOE will monetize the game, yet it sounds fair. Players can buy wearables if they prefer, but that does not mean finding/crafting wearables in the world will be difficult. Survival essentials (guns, ammo, food, water, etc.) will not be monetized. Players will have to buy a key to obtain the goods inside of a crate, but they will probably be able to see what is inside of crates first before buying. Players can also purchase additional Emote packs if they’re into that sort of thing. BONUS ITEM NOT LISTED ABOVE (to make sure you’re paying attention :)): Items will degrade differently than in other survival games. For example, if a player kills a player with a sweet jacket, that player can wear the jacket for a few deaths. Wearables that are purchased directly from SOE will not degrade, yet when you loot something, it will degrade (and the original player always gets to keep their SOE-purchased wearables). H1ZI may be treading into familiar territory, but the promise SOE is making to players is enough to make us excited about the game. Especially if you have been hungry to play a survival MMO in the same vein as DayZ on your PS4, this is a game you definitely need to keep on your radar. What do you think about H1ZI? Are you excited, or are you going to skip this one and play another survival MMO that came before it? Let us know in the comments below! This needs to come out sooner alright. its june 2016 and we still have not seen h1z1! wtf dude im ready to play that game.